On 12 August you may be lucky enough – if it’s a clear night and you are somewhere without too much light pollution – to see a phenomenon called the Perseids, which is a meteor shower which appears at the same time every year, for reasons I will explain below. At its peak you may be able to see more than one meteor per minute. 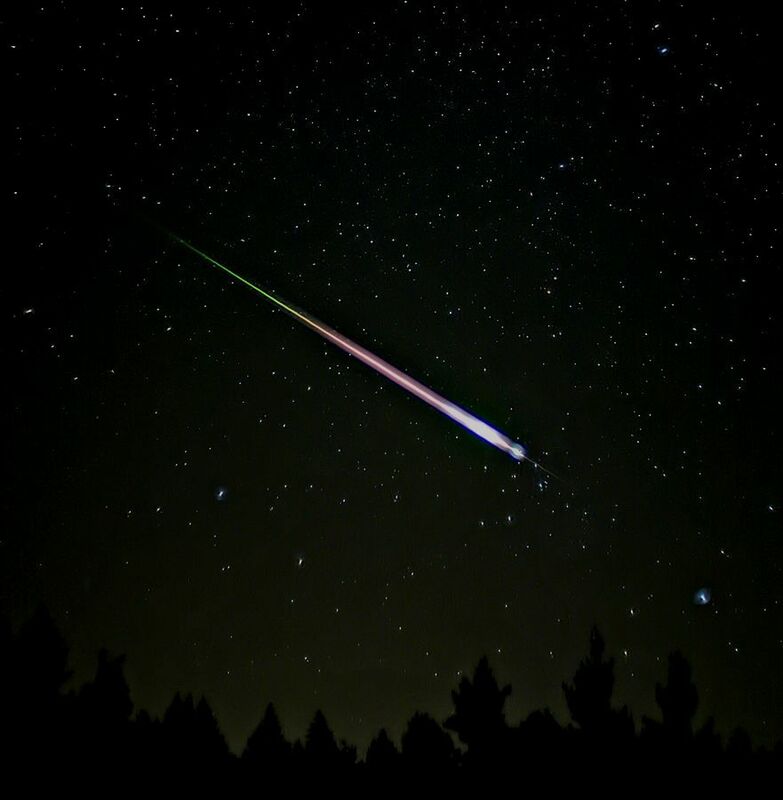 Meteors, also known as shooting stars, are bright streaks of light lasting a few seconds. These are caused by small lumps of rock or metal called meteoroids hitting the Earth’s atmosphere at a very high speed (in the case of the Perseids around 200,000 km/h). As they pass through the atmosphere they get heated up by friction to a temperature of thousands of degrees and start to glow. This causes them to emit a streak of light as they pass through the Earth’s atmosphere. Most meteoroids get heated to such a high temperature that they vapourise and disappear from view. Most meteoroids are very small and are vapourised at an altitude of 50 km or higher. If the meteoroid is large enough, bigger than 1 cm in diameter, some of it can survive the passage through the Earth’s atmosphere and the part that hits the ground is known as a meteorite. A comet called Swift-Tuttle orbits the Sun every 133 years. As it orbits the Sun it leaves a cloud of debris in its wake. Over a long period of time all this material ejected from the comet has formed a wide oval-shaped ring in the same orbit as the comet. Once a year, and at the same time each year, the Earth passes through this ring of debris. When this happens some of the particles hit the Earth’s atmosphere. This is what causes the Perseids meteor shower. As you can see from the diagram the ring is fairly wide and is composed of an huge number of smaller particles. The Earth first crosses this ring in late July and takes until late August to get the other side. 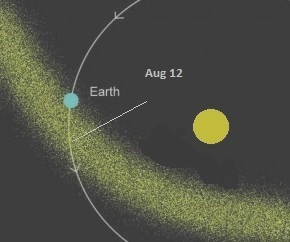 The thickest part of it is encountered around 12 August and this is the date on which the Perseid shower is at its most prolific. The best time of day to observe the Perseids, or in fact any meteor shower, is just before dawn. 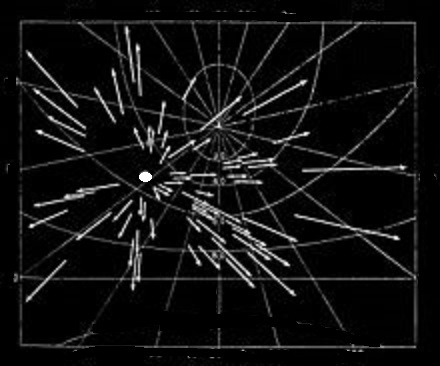 The diagram below shown the earth passing through the debris cloud. The diagram shows the Earth rotating on its axis. 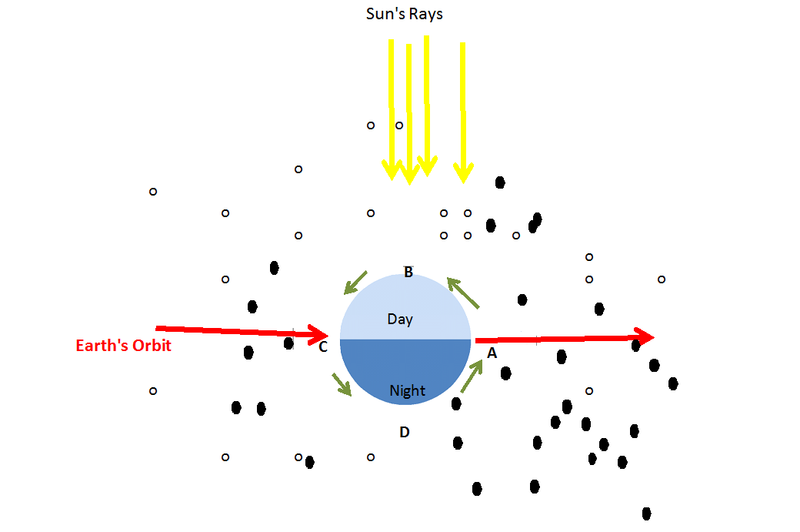 B indicates midday when the Sun is highest in the sky, D indicates midnight, A indicates sunrise and C sunset. If you observe a meteor shower, over a period of time, you will notice that if you follow the meteor trails backwards, all of them appear to originate from the same place. This is particularly noticeable if you take a long exposure photograph. 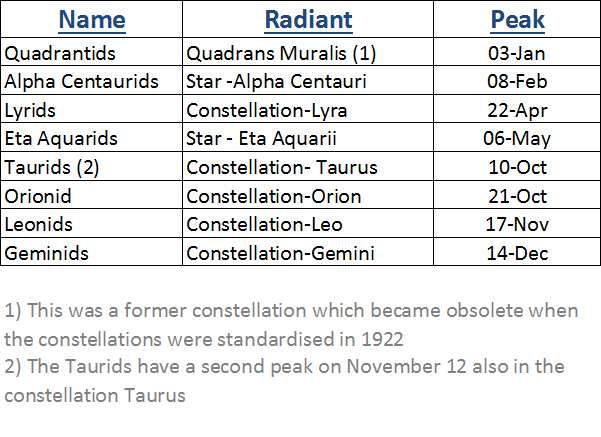 The point in the sky where the meteors appear to originate from is called the radiant. The picture above shows a long exposure photograph of a meteor shower. The radiant is marked with a small circle. The Perseids’ radiant lies in the constellation Perseus, which is directly overhead around dawn at a latitude of 60 degrees North. This is bad news for my readers in the southern hemisphere, who won’t be able to see this particular meteor shower, although of course they will be able to see other meteors invisible to those of us up here. The best way to observe the Perseids is to go a really dark place well away from light pollution. and as I said previously the best time is in the early morning just before the sky starts getting light. I would suggest about 3 hrs before sunrise. In Manchester, where Mrs Geek and I live, the sunrise on August 12 is about 5:45 am. so this will mean an extremely early start. If we are lucky enough to have a clear night you will see some meteors if you look up in the sky towards the north east. I am far too fond of my sleep to be up and about at this time, but will enjoy seeing photos and videos at a more acceptable hour, possibly even taken by Mrs Geek, although the sky is probably not dark enough round here. When astronomers measures the strength of a meteor shower, they use a term called the Zenithal Hourly Rate (ZHR). The ZHR is the maximum number of meteors an observer could see if the sky were completely dark, there were no cloud cover and the radiant were directly overhead. 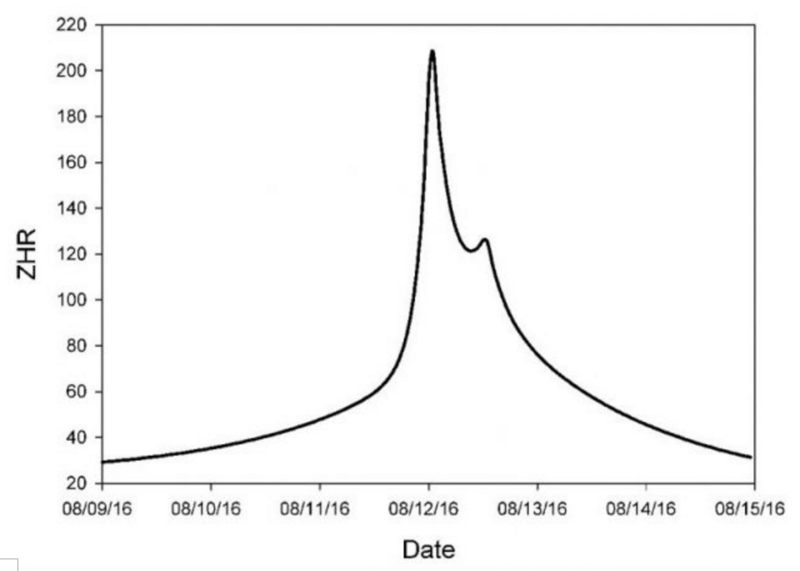 The diagram below (McCure 2016) shows how the ZHR varies with date. Even if the night turns out be cloudy on 12 August, you should still be able to see some meteors either side of this date. In museums I have seen meteorites that are from the surface of Mars. Do you know how that is possible? I’m hoping for clear skies here in the mid part of the US. We shall see. I recently watched this video by Marc Rayman about the Dawn Mission to Vesta and now Ceres. In it he said that over 6% of the meteorites reaching Earth are from Vesta. They resulted from a massive collision with another body long ago. His comments on that started at the 24 min mark. http://www.ustream.tv/recorded/89581110 We have more meteorite material from Vesta than from any other solar system bodies including all the rocks returned from the Moon. That is a remarkable finding. the impact of an asteroid or comet into an interplanetary trajectory. I got up early last Aug. 12 and saw a beautiful and amazing show, courtesy of the Perseids. Hoping for clear skies and another show this year. Thanks for your article explaining the science behind a meteor shower. Unfortunately it will be a lot earlier than 5 am. Although sunrise on Aug 12 is at 5:45 am, to get the best possible view you need to have the sky as dark as possible. So it is likely to mean a 2:30 am start. I’ll probably just stay up. I often don’t go to bed until two anyway! Hello! I was out last night and saw several very bright meteors. They were fast moving ones. Great article about the Perseids. Thank you. Let’s keep our fingers crossed for a good show on the 12-th. Big Laguna Meadow Campground in SD County. Our favorite place to watch any of the meteor showers. Thanx for all the info. I hope you have great viewing conditions. Very informative on the hows and whys of meteor showers for those unfamiliar with the phenomenon. I watch the Perseids, Orionids, Leonids, and Geminids every year (weather permitting). I guess you could call it a family tradition.